Caught taxiing out was the RNZAF's Beech Super King Air NZ7121. About the same time Sounds Air's Caravan ZK-PDM was taking off . A new one for me was Virgin Australia's Boeing 737-800 ZK-PBK on arrival. Kapiti Heliwork's Robinson R44 ZK-IDO was also outside. And while I was there Air Nelson's Bombardier Q300 ZK-NFA arrived. 3rd Level Wanganui and other pics! And training through Wanganui... the Nelson Aviation College's Cessna 172 ZK-NAD gets airborne on 22 October while Massey University's Diamond DA40 ZK-MTJ does a touch and go on 23 October 2014. The road trip to Christchurch continues and as part of it I wanted to check out a couple of third level operations... One was Sounds Air's Wanganui-Wellington service which began on 21 January 2014 and which was doubled to two flights each weekday from 1 September 2014. In addition there a Sunday return service is offered. 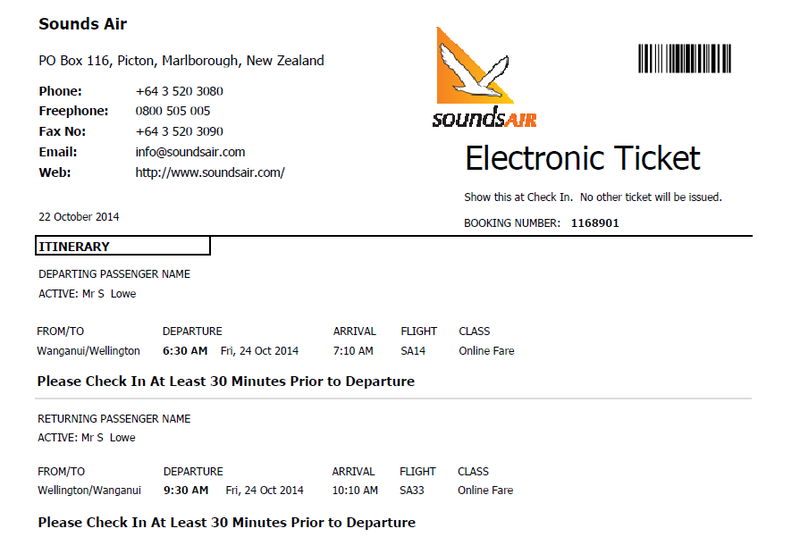 So on Friday 24 October I was out to Wanganui airport to check out Sounds Air's new service. and not too many passengers but its growing. Wanganui folk are taking a while to get used to the new operator but more and more are realising they can fly Sounds Air from Wanganui right through to Picton, Blenheim or Nelson. or connect to Air New Zealand or Jetstar to Christchurch or other South Island centres. 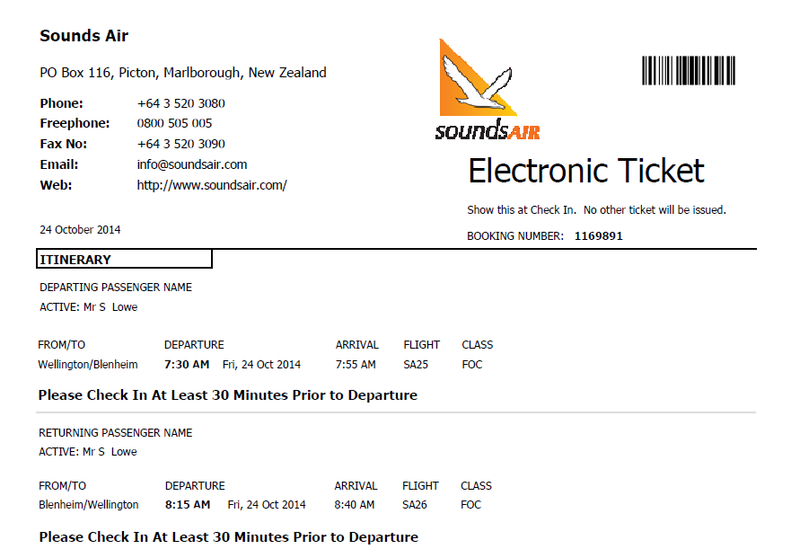 Connections with other flights is one of the reasons for the early departure out of Wanganui or late return. "Cleared direct to Whitby" - the other reason for the early departure to Wellington is to get ahead of the early morning jet traffic into the capital... the Sounds Air flight out of Blenheim ended up being number 7 in the queue. The instrumentation and interior of the Caravans are top class and the three pilots I spoke to all said the same thing... a great company to work for and no expenses spared on safety and comfort! The issue for Sounds Air is that the Caravan has a slow climb rate and speed. If the Q300 above had to do a missed approach the Caravan would be in the way. Air Traffic Control are really helpful trying to get Sounds Air away if possible but rightly safety comes first. Unloading Caravan ZK-SAN. Notice the Dominion Posts on the front left. The Dominion Post flies on the first flights to Nelson, Blenheim and Picton. This will be me on Tuesday morning! and a murky approach into Runway 16 again! And Cessna 208 Caravan ZK-SAN back at the terminal. And a lot more cloud! Back in the terminal at Wanganui I was talking to some of the locals about the Sounds Air service... They too had noticed Sounds Air's Wanganui was growing, but more than that, they had never heard a bad word from anyone who had flown Sounds Air. Instead the passengers rave about the pilots, the plane and flight. It seems to me that Sounds Air really have the formula right... good planes, good service, a high level of professionalism, good customer relations, good fares and good staff and because of this they have very loyal passengers. They also have a standard of excellence in their operation and are happy for the service to build naturally. Now all they need is more to Wanganui people to become aware of the service and the advantages it offers.